Our aim is to match WST or WSTplus production technology to existing or new products and at the same time implement a cost-effective production process and product improvements. Our team of experts will develop and manage the overall assembly of the entire industrial WST or WSTplus project in stages. 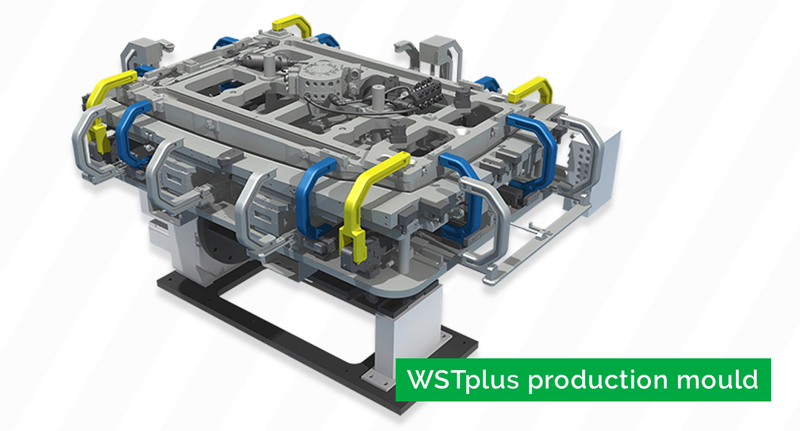 WST and WSTplus technology applications make it possible to execute polyurethane framing and gluing in a unique or combined fully automated operation, in a single cycle. The specific BASF polyurethane system used by Exypnos in gluing and framing applications is a validated system that has been used for more than 20 years in, for example, various automotive industry applications. The Exypnos Engineering team optimises the product concept, provides design support, starts and supervises specific developments if necessary and designs all production and machine applications. We engineer the degree of automation for gluing and/or framing and the entire installation is installed and commissioned by Exypnos on a turnkey basis. Product framing using polyurethane and WST/WSTplus technology is based on a pressure and stress-free pouring process. 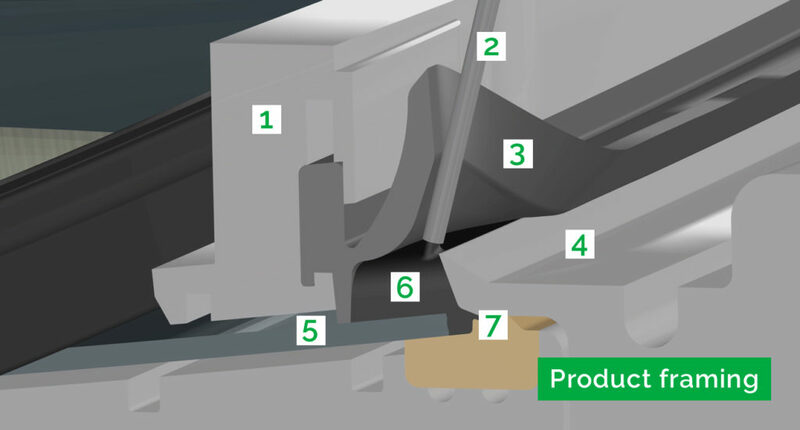 This means that product design tolerances and combinations that are process critical for the framing process can be compensated more easily than with the RIM framing process, thanks to the Soft Tool technology we developed. Our approach when developing your product framing project aims to achieve a perfect match between the accuracy of the improved product function and an efficient production process. Our team of specialists will work with you to convert these goals into actual results. To us, gluing means to apply an efficient process in which polyurethane is used to glue various components for different product applications. The reactive BASF polyurethane creates a fast and durable product bond, resulting in an outstanding cycle time. 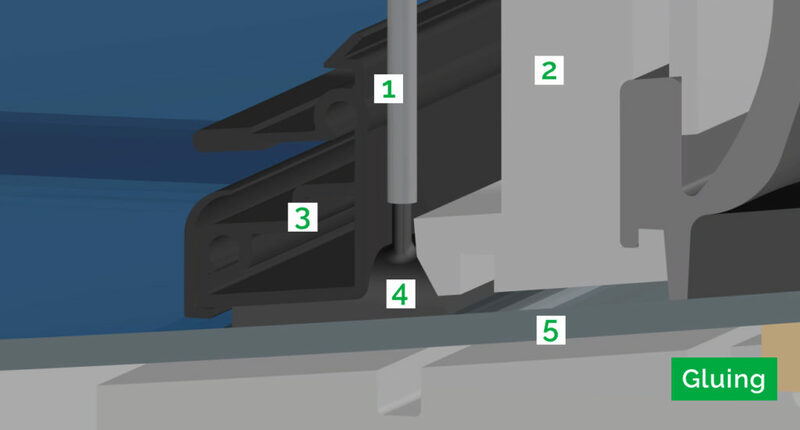 We combine or replace the ‘adhesive performance’ for components with mechanical component anchoring, which makes the choice of component materials virtually limitless and reduces primer application to activate adhesion. Our multidisciplinary engineering department will ensure that your plans are implemented with a professional and project-based approach. Exypnos has about 20 years of experience in the development of complex polyurethane designs in various applications. Our team has the appropriate expertise and access to all necessary WST/WSTplus facilities to develop your process-compatible polyurethane product. 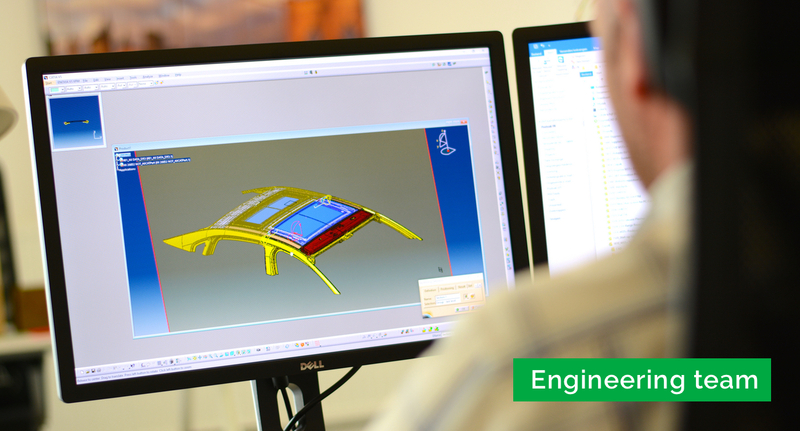 The Exypnos Engineering team develops and designs all its moulds and tools on the basis of WST or WSTplus technology. Machines are built by a supplier specifically selected by Exypnos for this purpose. The Exypnos Engineering team also designs the silicone injection moulds used by Exypnos Systems for the production of Soft Tool technology profiles and gluing seals. The construction of these moulds is subcontracted to a partner supplier. The WST and WSTplus technology production moulds used by our customers or Exypnos Systems in various production applications, such as car roof systems at Webasto, are precision tools for use in highly sophisticated production environments. These types of moulds are ideal for the fully automated and highly accurate polyurethane framing and gluing process. 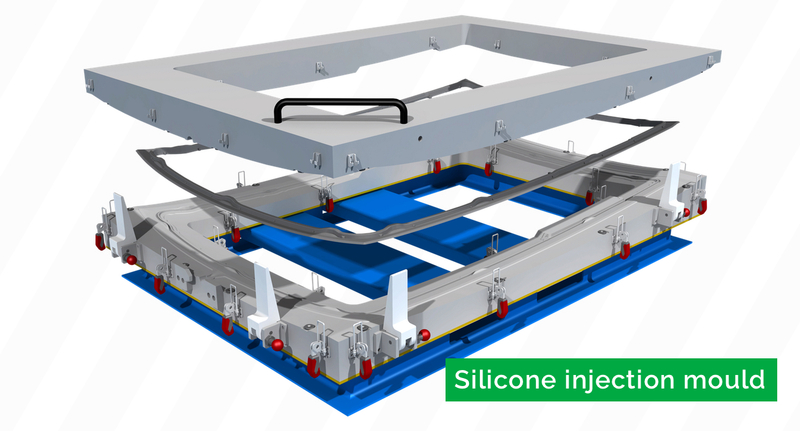 A WST or WSTplus production line consists not only of machines that execute fully automated polyurethane framing or gluing operations, but also peripheral equipment that executes manual or automatic operations before and after polyurethane moulding. Exypnos Engineering is a team of specialists who design and implement these production lines to specification, in conjunction with our partner suppliers. 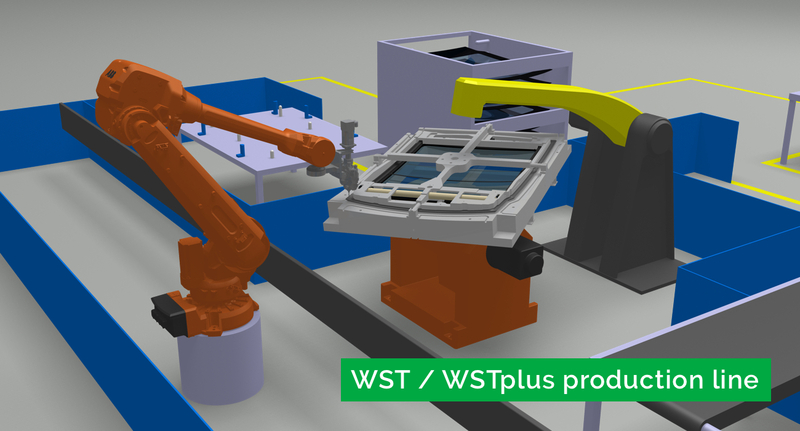 A smart and compact multi-production environment, based on the strict rules of Lean Manufacturing, is the DNA of the WST or WSTplus production application. A WST or WSTplus installation usually comprises a low-pressure dosing machine with mixing head to pour polyurethane material into the mould cavity, which is controlled by a 6-axis robot. To frame or glue very large items (such as skylights and solar roofs), the WST or WSTplus production mould is usually mounted on a robot that incorporates a 7th axis and 360° rotation.